The finest juniors from across Britain will compete at the 2018 edition of the Dunlop British Junior Championships with former champions Nick Wall and Alice Green headlining the boys’ and girls’ Under 19 draws respectively from 26-28 October in Nottingham after the draws were released today. 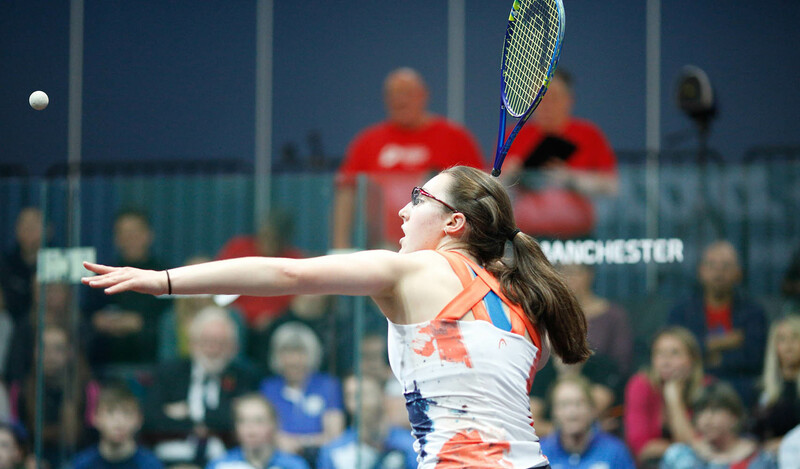 The three-day event, now established as one of the biggest domestic junior tournaments on the British circuit, will see players as young as eight battling across ten categories at the University of Nottingham, Nottingham Squash Rackets Club and Duffield Squash Club. 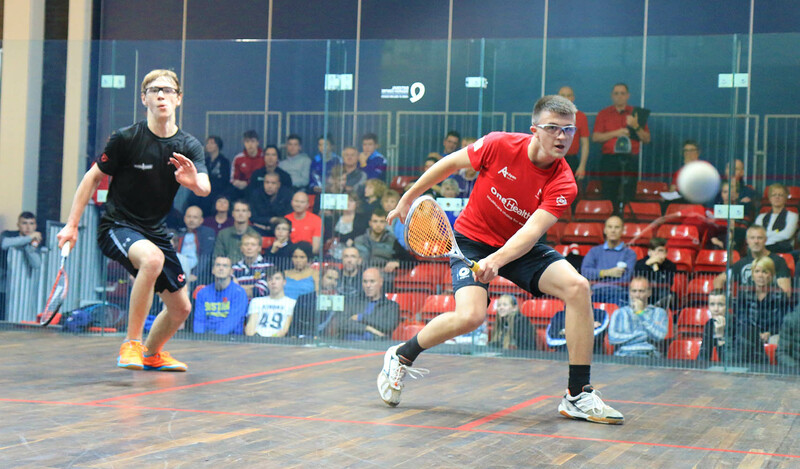 Two-time champion Nick Wall (Yorkshire) tops a hotly contested Boys Under 19 draw and is seeded to lock horns with England No.1 and second seed Jared Carter (Hampshire) in the title decider in what could be a repeat of the Boys Under 17 final two years ago in which Wall prevailed. Looking to challenge the top seeds is last year’s Boys Under 17 champion [3/4] Lewis Anderson (Warks), the current Dutch Junior Open 2018 Under 19 champion. Two-time champion  Alice Green (Essex) and  Georgia Adderley (Scot) are seeded to meet in the Girls Under 19 final in what could be a repeat of last year’s Girls Under 17 final which saw Adderley emerge victorious. Hot on their heels will be 15-year-old Katie Malliff (Bucks), seeded 3/4 who sensationally overpowered Green in the Girls Under 17 final of the English Junior Championships (EJC) back in March. Last year’s Boys Under 15 champion Sam Todd (Yorks) moves up to the Under 17 category and tops the draw. 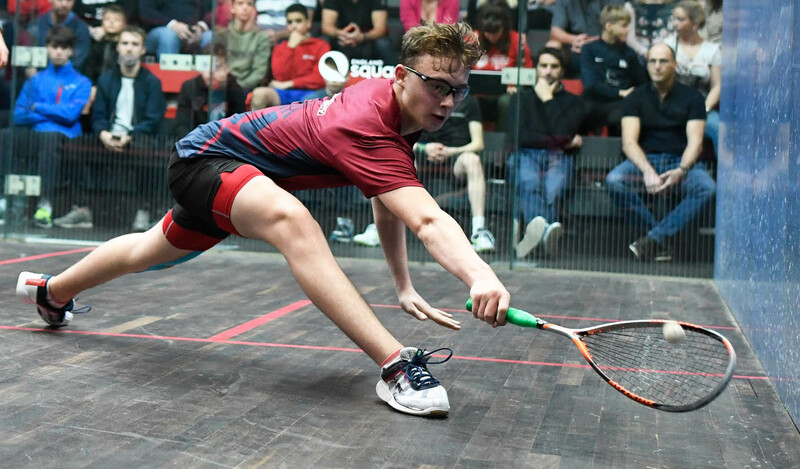 Challenging the two-time British Junior Open (BJO) champion and looking to clinch his first British National title is second seed Ben Smith (Lincs) - the current England number one and EJC Boys Under 17 champion. Meanwhile,  Max Forster (Nbria) - the 2016 British National Boys Under 15 champion, will be lying in wait and looking to upset the proceedings. In the Girls Under 17 category,  Maia Pannell (Hants) is in prime position to take the title but will face stiff competition from  Margot Prow (Middx) who has overcome Pannell in all previous head-to-heads. The Boys Under 15s looks set to be a fierce affair between the current European number one  Denis Gilevskiy (Ire) - winner of the BJO Boys Under 13 2017 title, and second seed Jonah Bryant (Sussex), the current Boys Under 13 BJO champion. In what promises to be a hotly contested draw, the Girls Under 15 sees  Asia Harris (Yorks) seeded to lock horns with  Torrie Malik (Sussex) - the current European number one. 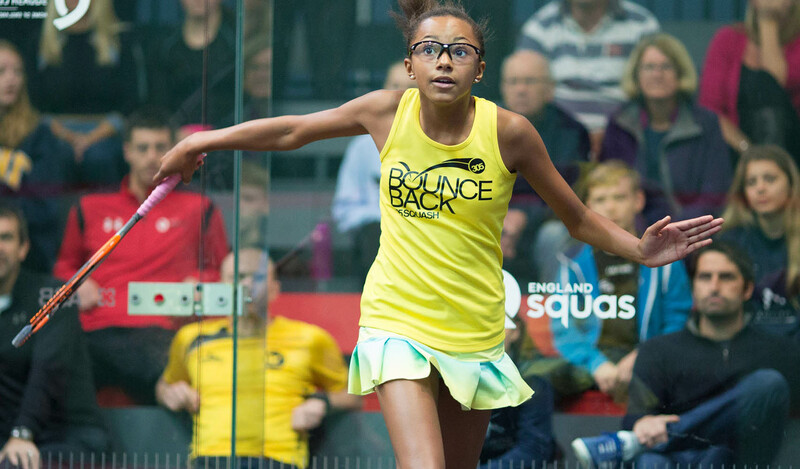 September’s South West Gold event saw Harris sensationally edge Malik in the Girls Under 15 final and exact her revenge after falling to her back in March at the English Junior Championships final. Hot favourite to claim the Boys Under 13s is last year’s runner-up  Yusuf Sheikh (Essex), the current England number one. Sheikh is likely to face a titanic challenge from 3/4 seed Abd-Allah Eissa (Warks) – the European number one, current Dutch Junior Open and South West Gold Under 13 champion, as well as Hampshire’s  Alexander Broadbridge, a former English Junior Under 11 champion. Girls Under 13 top seed Amelie Haworth (Hants) will be looking to clinch her first British maiden title after claiming the EJC Girls Under 13 title in March. However, South West Gold 2018 champion  Meha Shah (Warks) – the current England No.1 will be looking to mount a challenge alongside Welsh No.1  Ellie Breach. If all goes to seeding, the Boys Under 11 title decider could be a repeat of last month’s South West Gold final with  Ronnie Hickling (Surrey) and  Dylan Kylar (Berks) set to do battle once again - where Hickling, the current England number one triumphed. 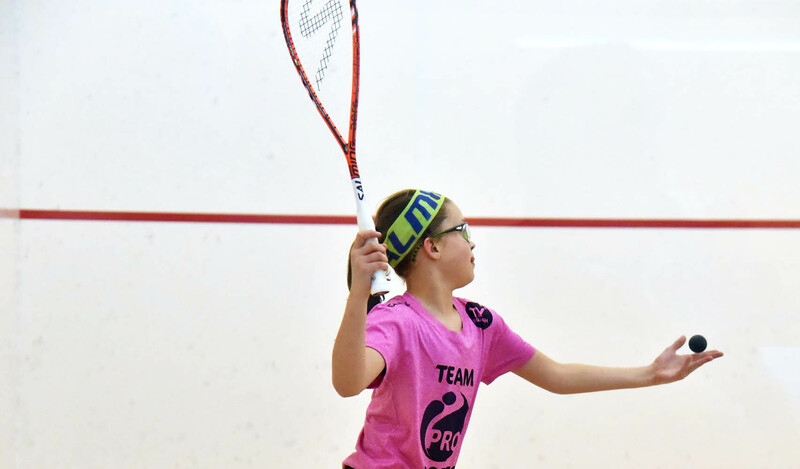 England number one Emily Coulcher-Porter (Oxon) tops the Girls Under 11s draw and is seeded to meet second seed Mariam Eissa (Warks) in what could be another thrilling showdown. 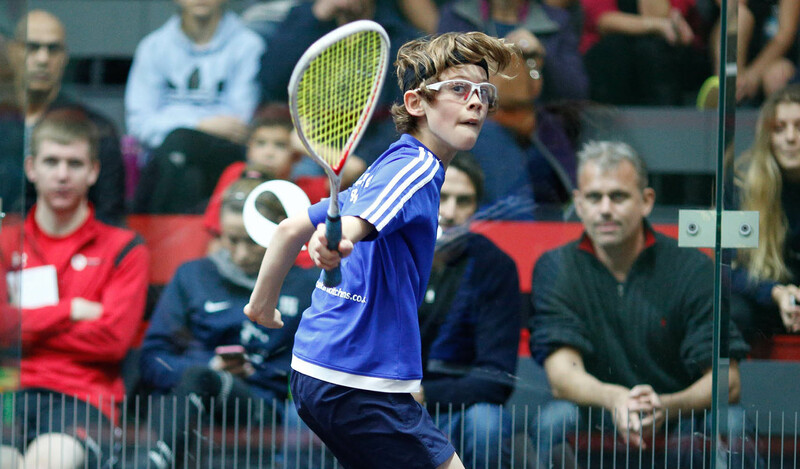 Last month saw Coulcher-Porter edge Eissa, the current English Junior Under 11 champion in five in September’s South West Gold final. Main draw action starts at 9am on Friday 26th October. Finals are scheduled for Sunday 28th October on the all-glass show court at the University of Nottingham. All spectators wishing to see the best of British are welcome free of charge. View the draws and visit the official website and Twitter.